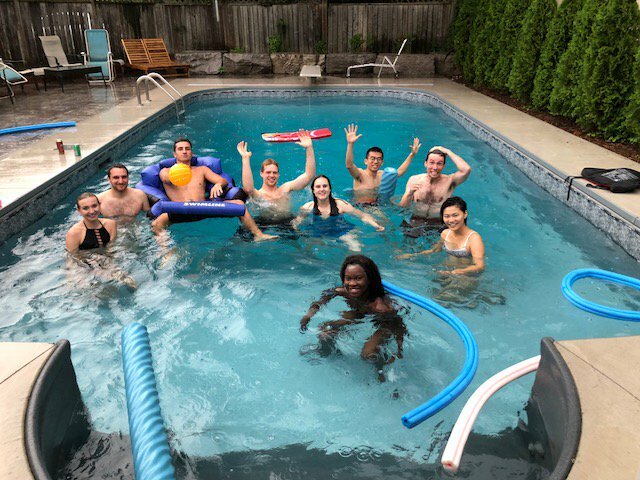 Even with the rain, some students weren't deterred from the pool yesterday at the annual RESTORE pool party! 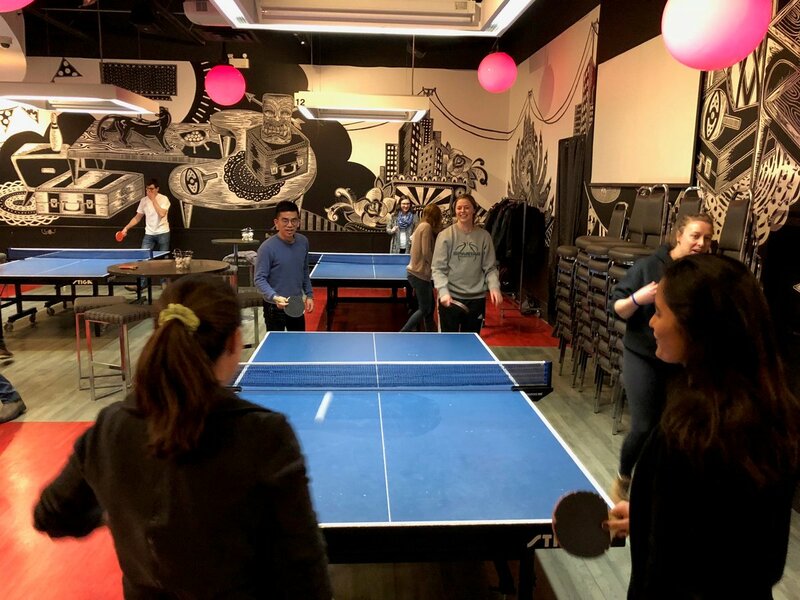 RESTOREs term social where fun was had by all playing ping pong! 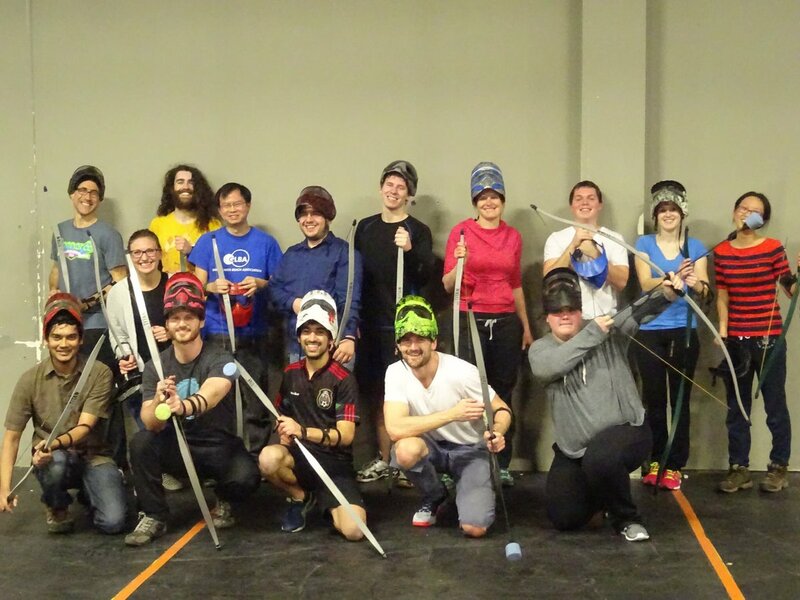 Thanks to everyone that came out and made the social a great time! 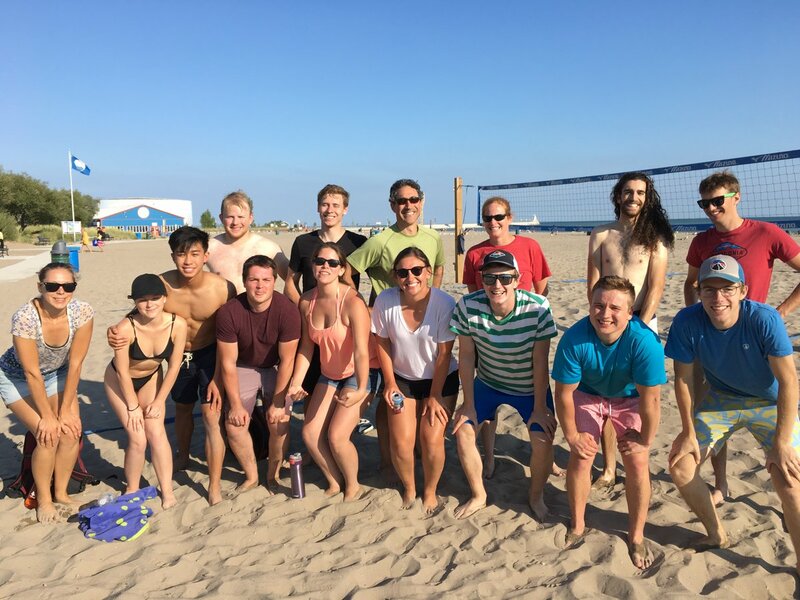 RESTORE enjoyed the sun, sand, and spikes at Port Stanley for an office beach volleyball retreat. 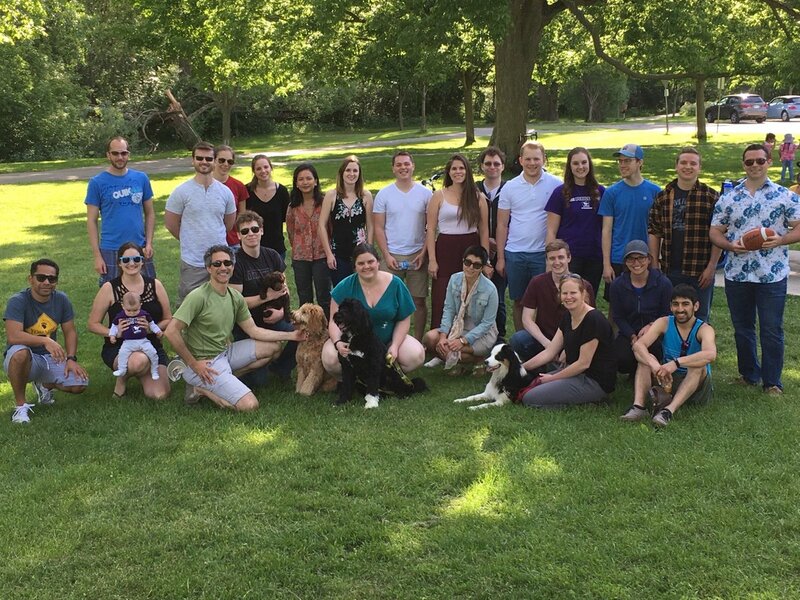 RESTORE enjoyed the great weather yesterday at the annual Summer kickoff picnic! 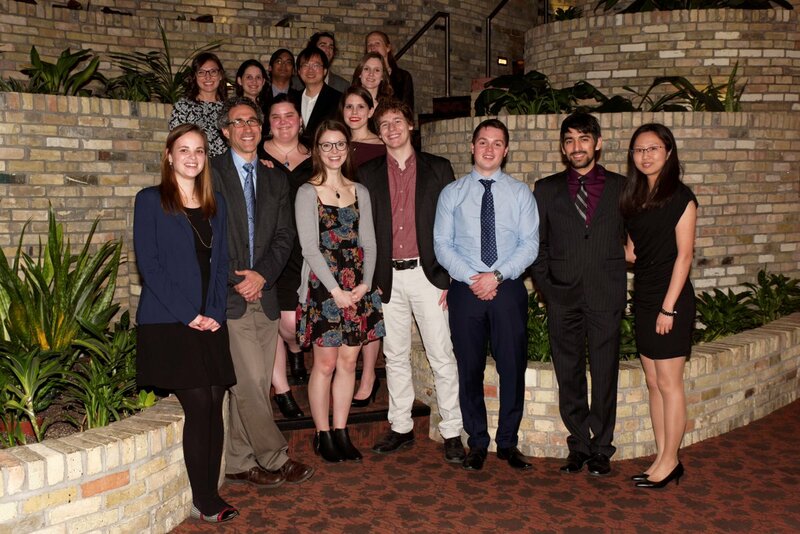 RESTORE looking sharp at the 2017 WesternUEng Geotechnical Research Centre Annual Dinner. 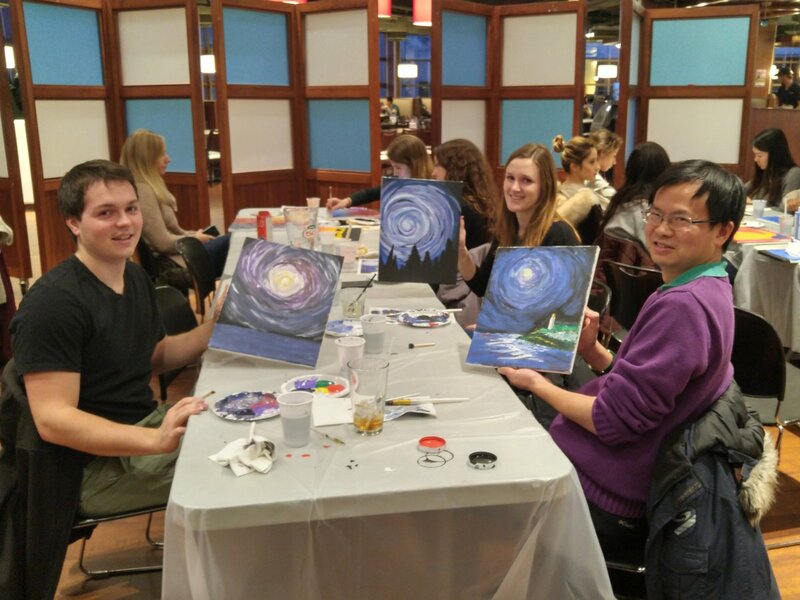 RESTORE gets arty at Reverie2017. 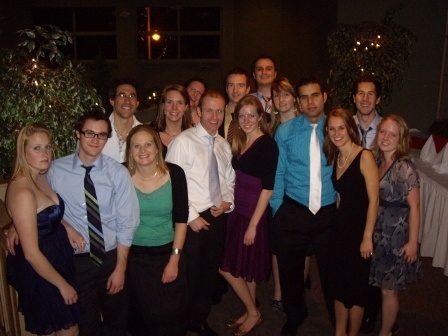 Thanks WesternUSC for putting it on! 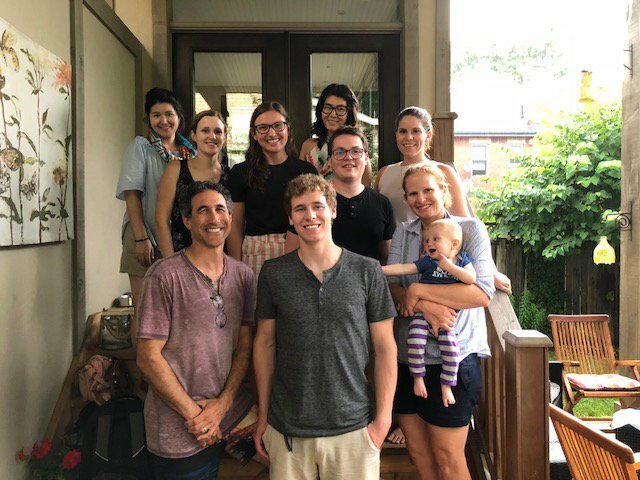 RESTORE celebrating Laura's baby shower! 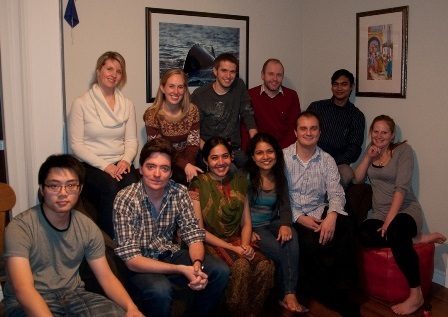 RESTORE enjoys a terrific dinner at Prof. Robinson's house! 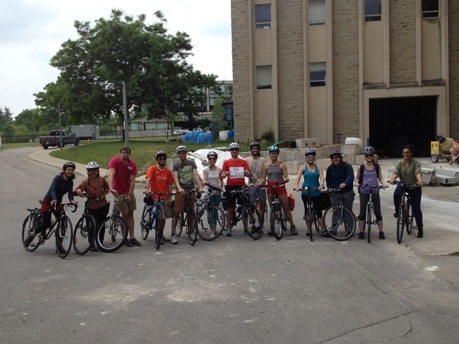 RESTORE heads out on a Ride for Remediation; a group cycling trip to Springbank Park for a great Friday afternoon off of work! 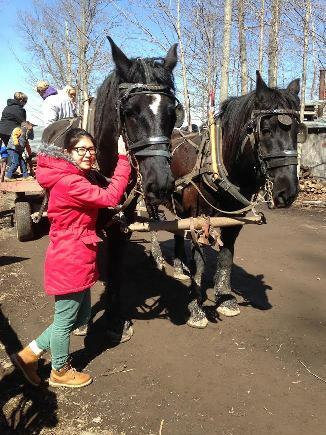 RESTORE heads out to a local sugar bush to try Maple Syrup from freshly tapped trees! 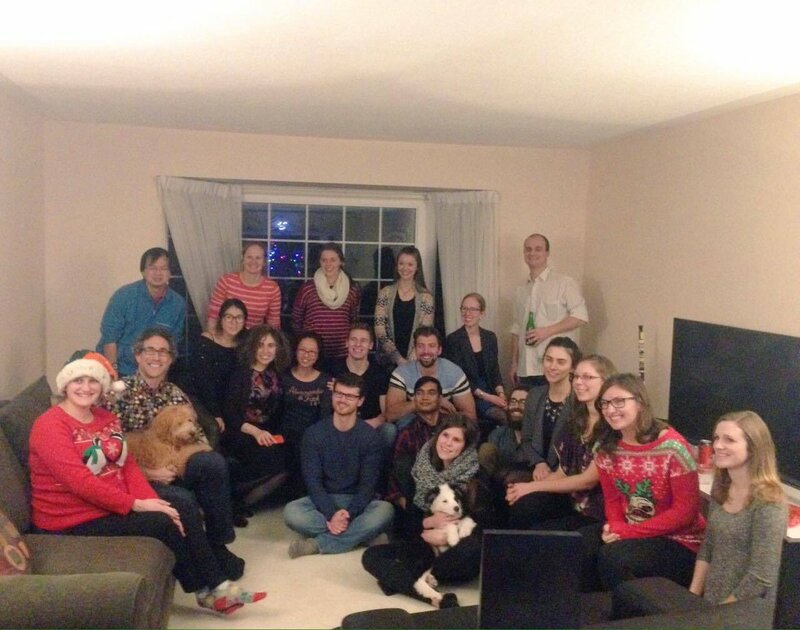 RESTORE enjoys a delicious Christmas dinner at Prof. Jason Gerhard’s house! RESTORE enjoying a great picnic in Gibbons Park. 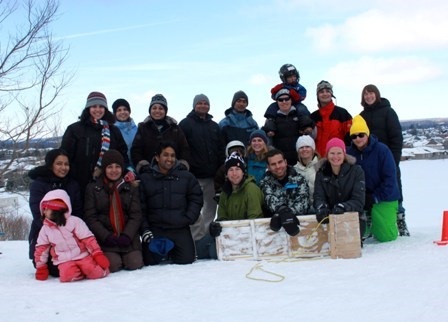 RESTORE enjoying an exciting day of tobogganing. 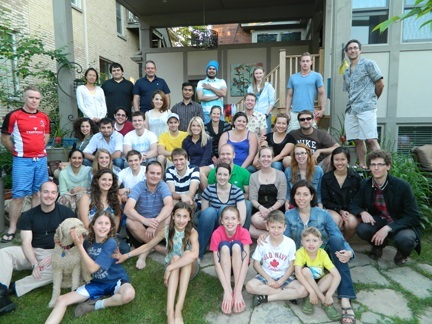 RESTORE group members and families at the annual start of summer BBQ hosted at Dr. Gerhard's home. 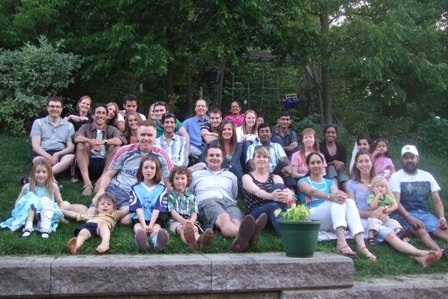 RESTORE enjoying the annual summer picnic at Gibbons Park to welcome the new summer and graduate students. 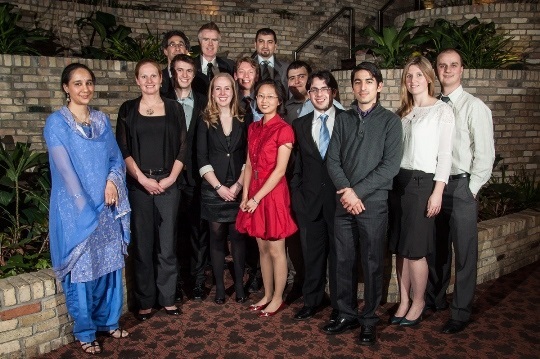 RESTORE enjoying the annual Geotechnical Research Dinner on March 27th. 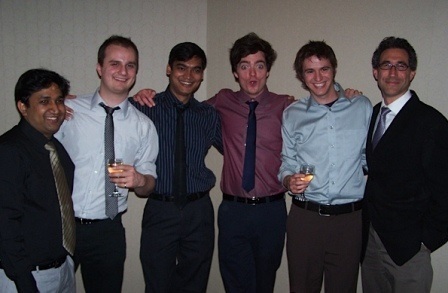 RESTORE enjoying some cake to celebrate Rory Hadden's birthday and also his farewell before he moves back to the UK. 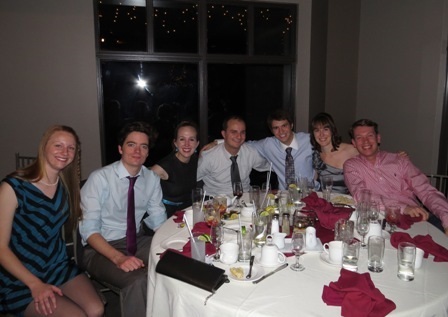 RESTORE group members enjoying the annual Western Engineering Holiday Dinner & Dance at the Westhaven Golf & Country Club. 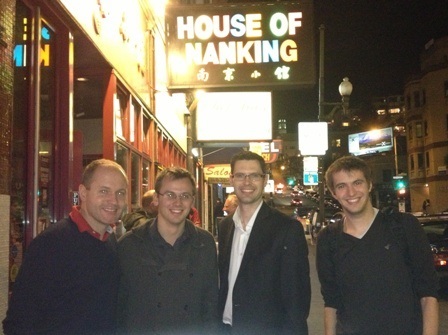 RESTORE group members Christopher Power and Ian Molnar enjoying some cuisine in San Francisco, CA during the American Geophysical Union Fall Meeting 2012. 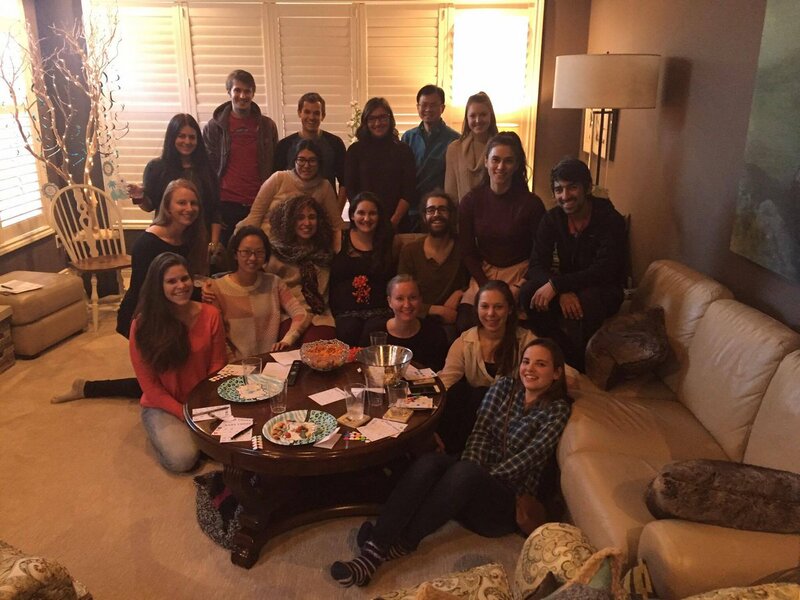 Dr. O’Carroll hosts a RESTORE thanksgiving potluck dinner to welcome all the new students and post doctoral researchers to the group. 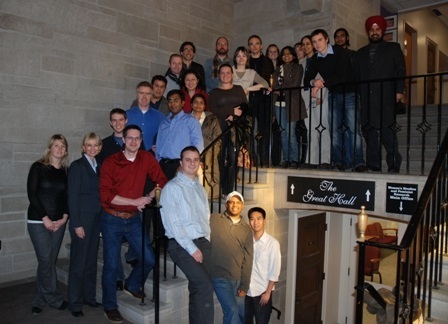 RESTORE group members enjoying the annual Geotechnical Research Centre (GRC) Dinner held at the London Delta Armouries. 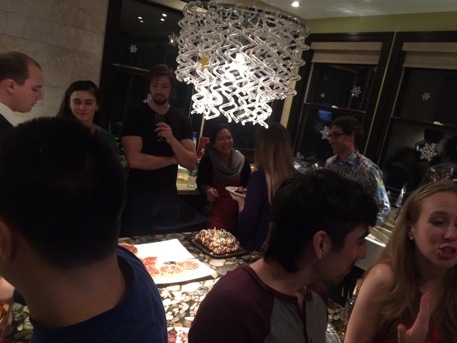 RESTORE group members celebrating the holidays with food and fun at Dr. Robinson's apartment building. 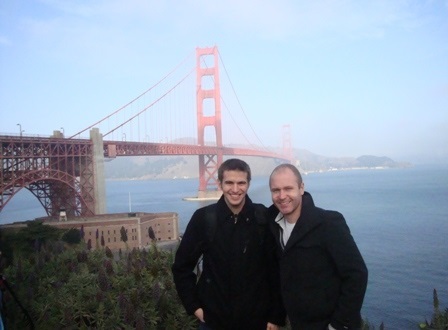 RESTORE group members Christopher Power and Ian Molnar take time out from the AGU Fall Meeting to check out the Golden Gate Bridge in San Francisco, CA, USA. 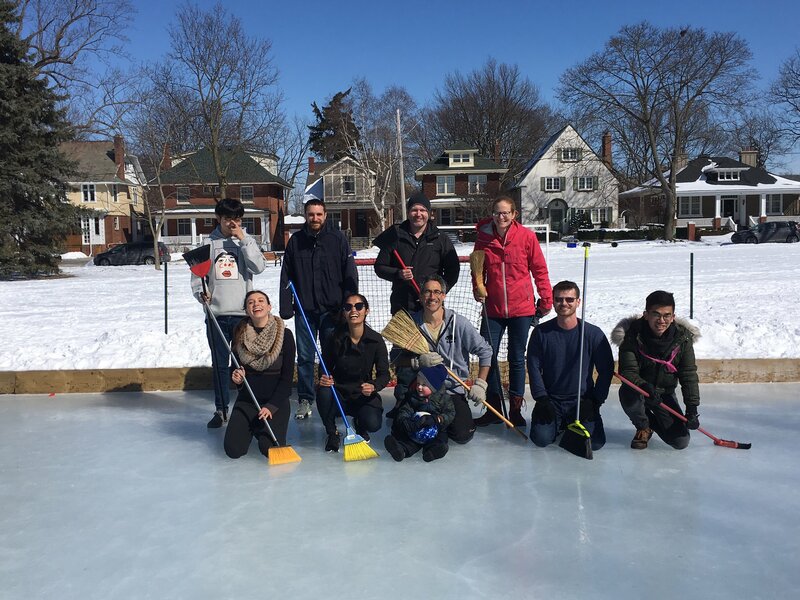 RESTORE bear the cold to enjoy the snow and an afternoon of toboganning. 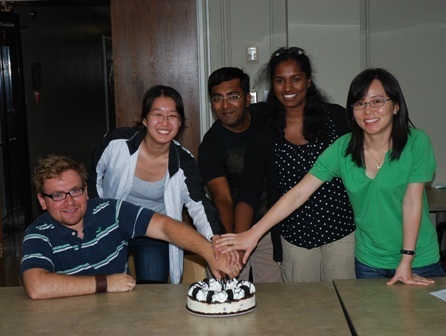 RESTORE enjoy ice cream cake to wish MESc graduate Gaurav Goel, post-doctoral fellow Eun Jung Kim and NSERC USRA students Adam Papini, Ivy Zhang, Spencer Weber, Simon Hodge and Meera Joseph farewell and good luck on their next life adventure. 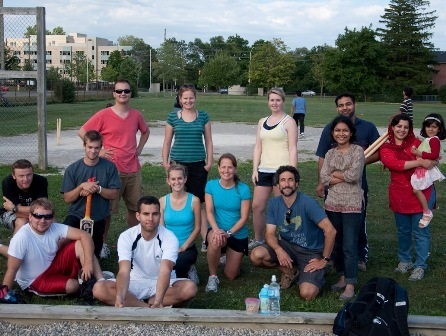 RESTORE group enjoying a friendly game of cricket on Western's campus. 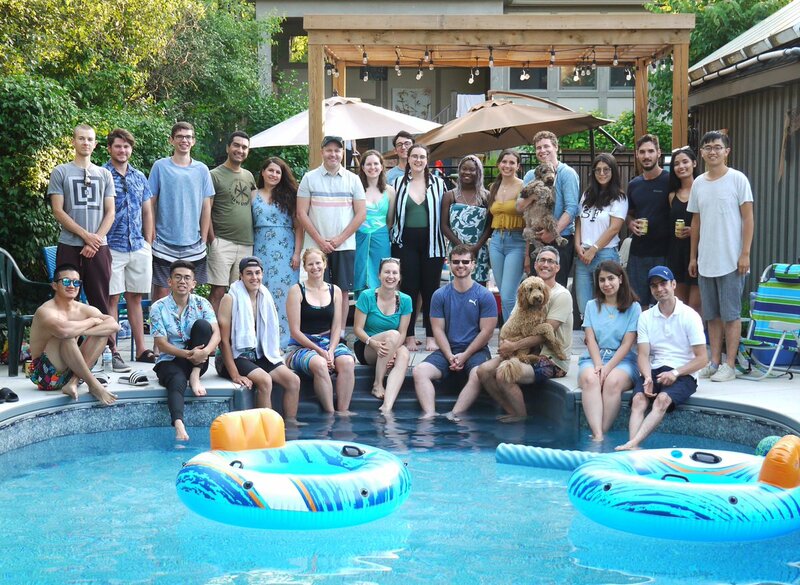 Third annual swim and BBQ party at Jason's house, which also served as a celebration of the visit and seminar of Prof. Majid Hassanizadeh. 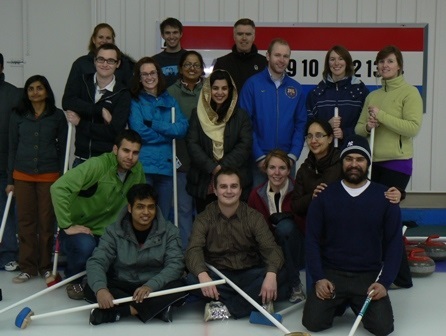 RESTORE group enjoying an evening of curling together at The London Curling Club. 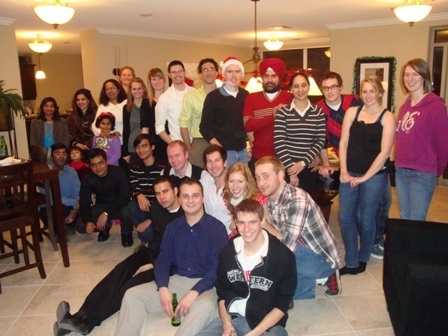 RESTORE group celebrating the holidays with food and fun at a special function room reserved at Dr. Robinson's apartment building. 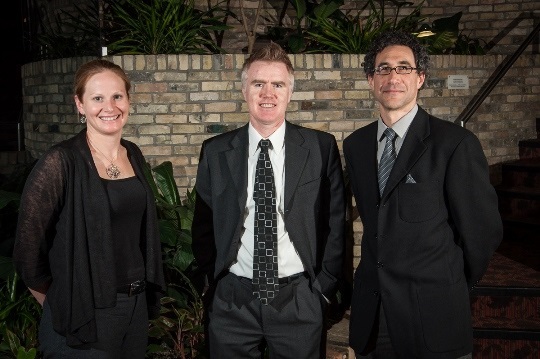 RESTORE established a significant presence at the Western Engineering Holiday Dinner & Dance at the Westhaven Golf & Country Club. 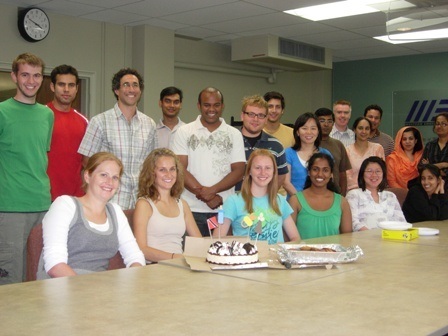 RESTORE enjoy ice cream cake to wish Mai Sakulchaicharoen and Geremy Camps-Roach farewell and good luck on their next life adventure. 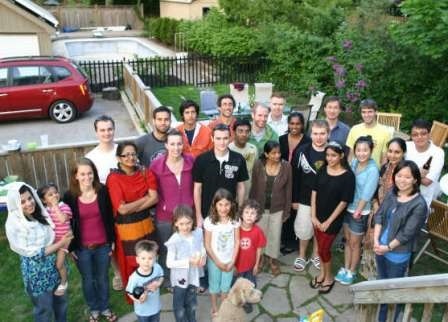 BBQ at Denis' house to celebrate the seminar by Clint Willson and the summer in general. 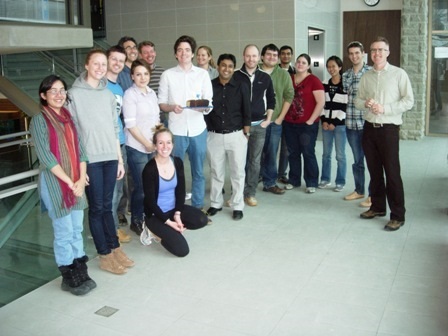 RESTORE group enjoy a pancake breakfast to celebrate the opening of the group's new laboratory in the Green Building. Second annual swim party at Jason's house, which also served as a celebration for Clare Robinson's arrival to the RESTORE group. 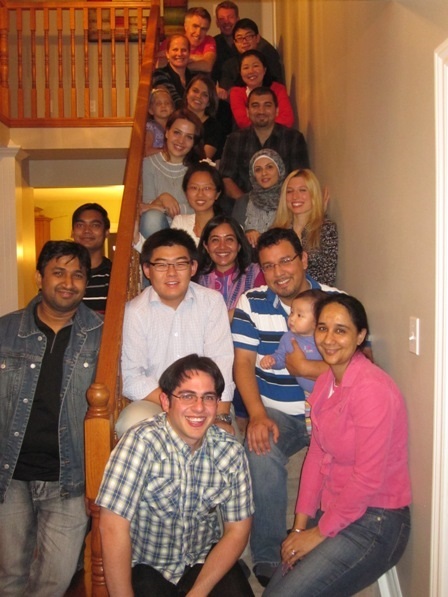 Great sun, fun and food which was again supplied courtesy of Hardiljeet Boparai and Swaran Gill. 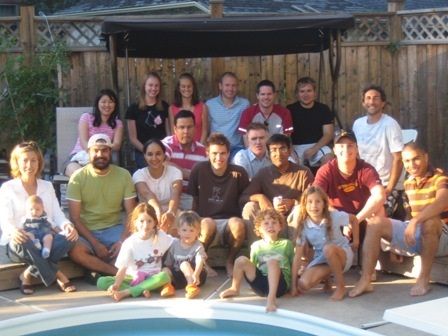 Summer Welcome BBQ at Jason's house. 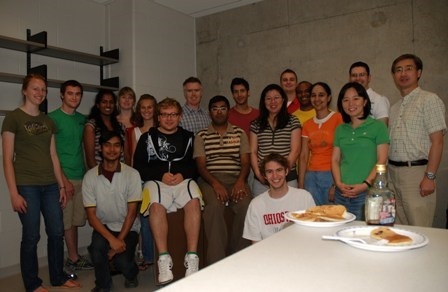 Pizza lunch to welcome the undergraduate summer NSERC research students who join the RESTORE group for the summer. 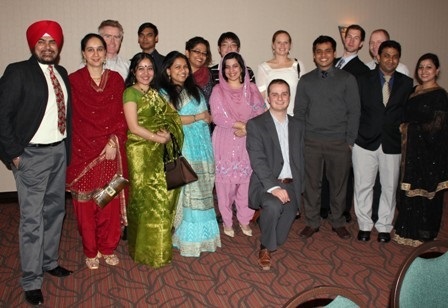 RESTORE group members enjoy a feast of traditional Indian dishes courtesy of Hardiljeet Boparai, Swaran Gill, Gaurav Goel and Anupam Goel. 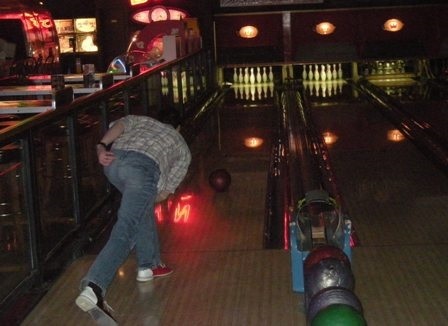 RESTORE group members enjoy an evening of bowling together at Pallasad in London. 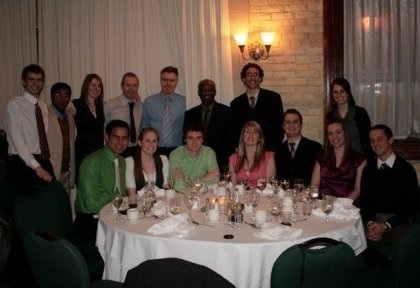 Dr Ernest Yanful with RESTORE group members and respective partners at the annual Geotechnical Research Centre (GRC) Dinner held at the London Delta Armouries. 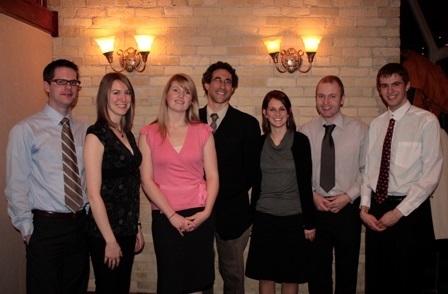 RESTORE's Dr Jason Gerhard with his graduate students Brendan McKenzie, Stephanie MacPhee, Stephanie Drake, Christopher Power and Ian Molnar at the annual GRC Dinner. 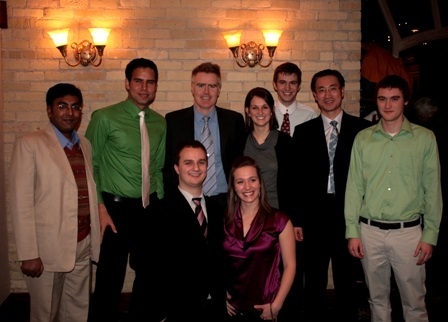 RESTORE's Dr Denis O' Carroll with his graduate students Gaurav Goel, Nikolai Mattison, Christopher Kocur, Erin Cullen, Stephanie Drake, Ian Molnar, Bruce Xu and Andrew Oleniuk at the annual GRC Dinner. 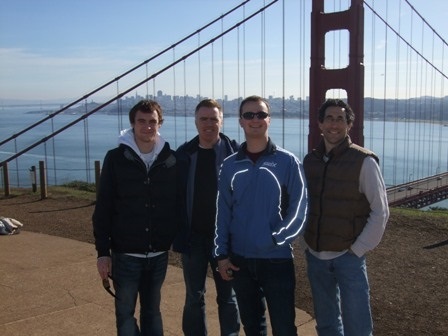 RESTORE group members Andrew Oleniuk, Denis O' Carroll, Chris Kocur and Jason Gerhard looking over the Golden Gate Bridge in San Francisco, CA, USA. 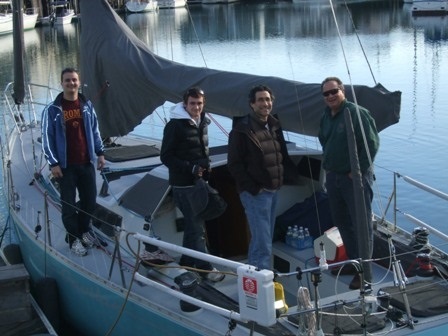 RESTORE group members Chris Kocur, Andrew Oleniuk and Jason Gerhard heading out on Brian Lewis' (State of California 's Department of Toxic Substances Control) boat in San Francisco Bay, CA, USA. 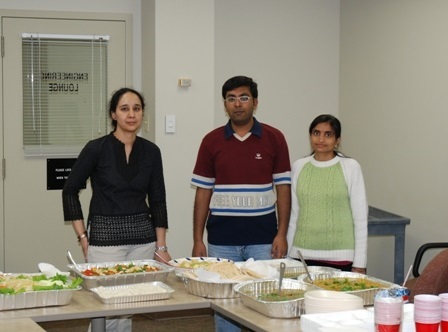 RESTORE group celebrating the holidays with Christmas lunch at Michael's Garden Cafe in Somerville House. 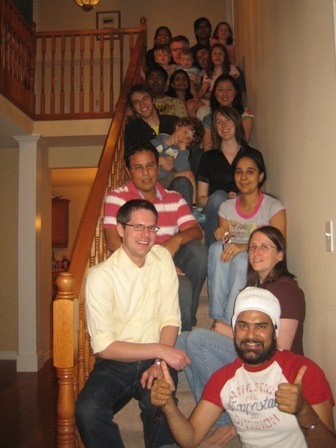 Thanksgiving dinner at Denis' house. 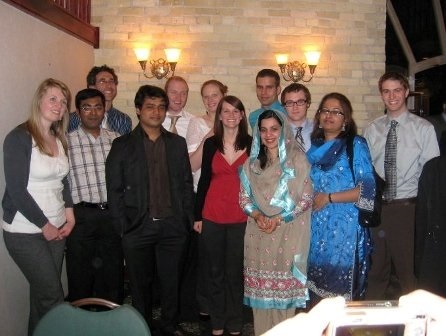 Wonderful mix of traditional Canadian thanksgiving fare and Indian/Thai dishes. 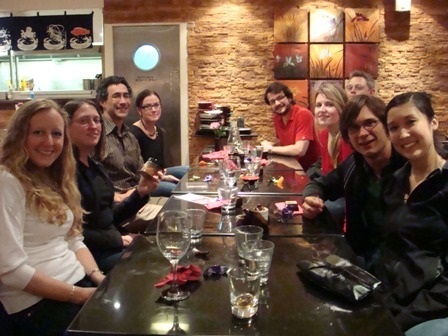 The STAR team - including Prof. Jason Gerhard, Dr. Guillermo Rein, Dr. Christine Switzer, and Stephanie MacPhee and colleagues - celebrates success in the first ever Ex Situ STAR field pilot trial by living it up at a restaurant in Edinburgh Scotland. 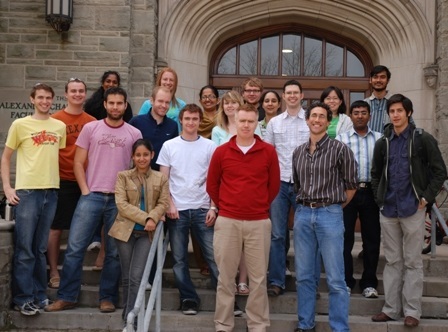 Approximately, 2.5 cubic metres of coal tar contaminated soil was remediated to near non-detect levels in this experiment, the largest scale-up of the novel STAR technology to date. 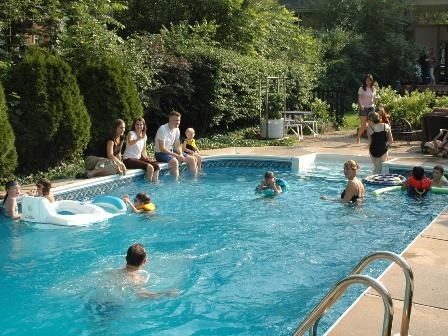 BBQ and swim party at Jason's house. 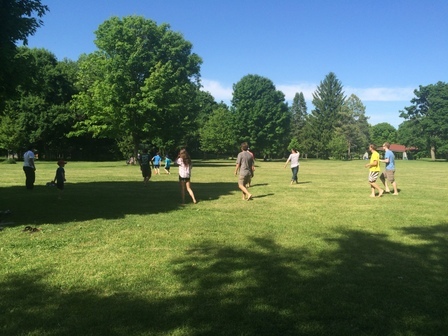 Great sun, good food, and a fun time. 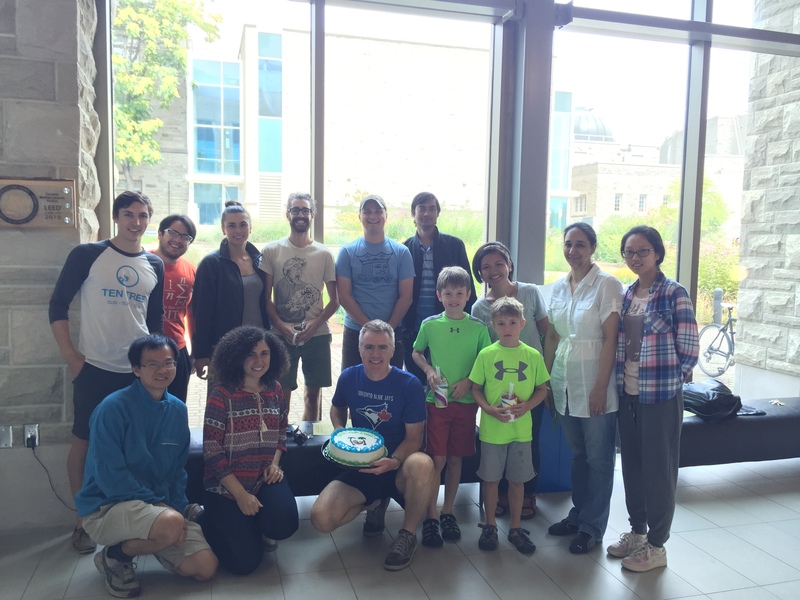 Congrats to those who swam for the first time and those who participated in the first annual RESTORE Ultimate frisbee event. 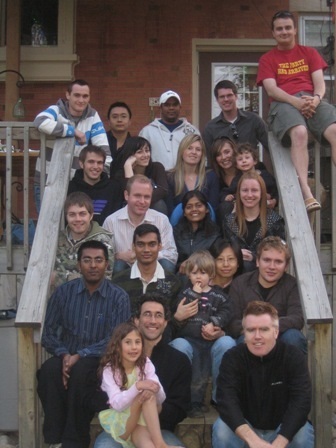 Students Welcome BBQ at Jason's house.